At the present moment where everybody spontaneously produces images as a natural way of ralating to others, postphotography stands as a new uliversal language. Democratisation of image has forced the professional photographer to stop being a mere pictures generator and become a more complex character combining functions as productor, editor, teacher, theorist, and much more. 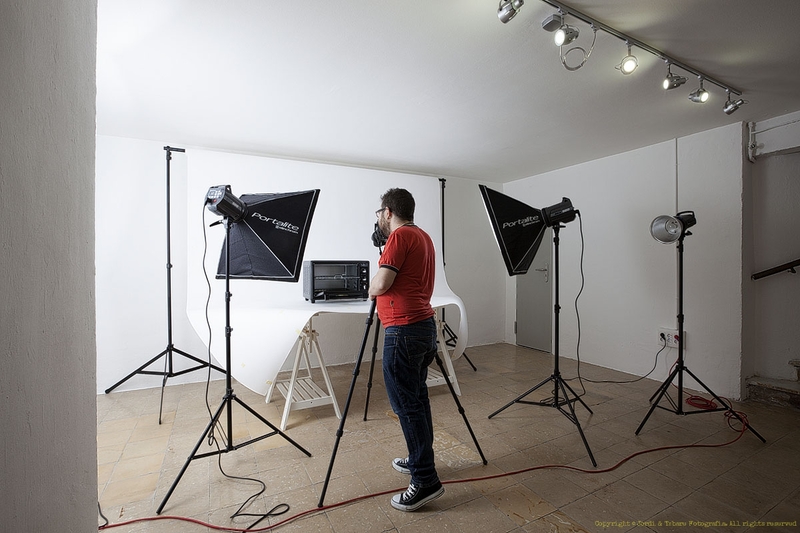 Equally so, photographic studios have emerged not only as creation spaces, but also places to transmit knowledge and exhibit works and projects. El Visor – Espai Fotogràfic is the studio where Jordi & Tabare carry out their professional activity and offer their services as photographers, but also is born with the aim to become a creative space where everybody in need has access to facilities to carry out his or her photographic, teaching, or exhibiting projects. At El Visor – Espai Fotogràfic exhibitions by Jordi & Tabare or other photographers interested in sharing their work will be periodically held. Also, training activities, like courses, seminars and workshops about basic and advanced photographic issues, and conferences to share with everybody the passion for photography will be organised. Please check our Activities section to keep on touch and use our contact form if you are interested in visiting the exhibition or attend to any of the activities organised. As in El Visor – Espai Fotogràfic we believe that illusions and oportunities must be for everybody and the worst failure is not trying to make real your dreams, we have decided to help the beginners, and because of this we offer special discounts for students so future photographers can find a place to carry out their own projects, and trainee models and actors have access to affordable photographic sessions to get a series of portraits of them.